YOUTUBE sensation Lilly Singh, better known to her fans, as Superwoman, has told www.asianculuturevulture.com she wants to break into Bollywood as a possible stepping stone to Hollywood. The 25-year-old comedy video artist, who has more than two million subscribers to her youtube (Superwoman) channel just three years after her first, is currently in Mumbai and has just completed a youtube video with her favourite Bollywood heroine, Madhuri Dixit. You can see it here. Before appearing at the youtube fans festival in Mumbai with other four other youtube hits on March 1, she was in London for the BBC Asian Network Big Comedy Night (recorded on February 7), but spoke exclusively to www.asianculturevulture.com film columnist and BBC London 94.9FM Sunny& Shay host Sunny Grewal about her favourite films and stars. She said she has no plans to give up comedy and will continue to make her popular video sketches and skits but revealed acting was a long term ambition. “Don’t get me wrong, I would love Hollywood, but I say Bollywood right now because it’s feels like it is the right platform to get to Hollywood. Producers and filmmakers, take notice – with a two-million plus fan base and a winning personality, the attractive Toronto-based entertainer could be an even bigger star waiting to happen. LILLY SINGH, better known by most of adoring her fans (two million and counting) as Superwoman, is maturing. When she was in London earlier this month she was on one of Radio 4’s flagship comedy programmes, “The Now Show”. She made her name uploading hilarious videos to youtube that struck a chord with many around the globe, both young and old. Not only are the skits funny, but often reveal the bump and grind of different cultures trying to get along, sometimes succeeding, but more often than not failing (far funnier) and spotlighting the peculiar idiosyncrasies of Asian and Punjabi families. While Lilly’s immediate terms of reference are Toronto and Canada, and its multi-cultural society, her humour travels well, beyond boundaries, connecting continents and people in the very common language of laughter. Most of all her work touches young (Asian) girls and women, whose aspirations just like Lilly’s sometimes appear out of sync with the way traditional parents or a conservative Indian culture wants them to think and behave. In that regard, she is an inspiration and hugely refreshing. A young Asian woman (25) with the balls to tell it like it is, but with a healthy masala dose of infectious charm, humour and energy. You go girl! The room is still reverberating from their hilarious exchanges about Bollywood/Hollywood, Punjabi movies, comic book superheroes and subtitled films. It’s here. Dressed casually in jeans and her own merchandise hoodie top and signature baseball cap and sitting in what constitutes her short-stay home in suburban East London, this petite dynamo is hot. Not just in the way you might be thinking – much more than that, she is a force and radiates both warmth and steel, humour and power, fun and danger (who would want to get on the wrong side of her?). She berated one airline on twitter for its poor customer service, after a series of delays. But here, she is relaxed and smiley and just a little sweet too, charmed as she has been by both Sunny and Shay (who host a show on Sunday 6pm-8pm on BBC London 94.9FM). Her fan base is widening and nobody should be surprised. “I did a meet and greet at the end of last year in Toronto and the whole queue was white, and I thought ‘DAMN’… slowly and surely I am getting more of a universal audience,” she told us. Last year, she was something of a globetrotter – visiting Australia and New Zealand it wasn’t just about the brown faces. It was also the year she credits as having made a serious breakthrough, brokering movie, song and merchandise deals, as well as her own app, and putting Superwoman on the map internationally. For the record and in order of the biggest first, comes the US, Canada, the UK, Australia and India (which often switch positions) and Dubai. No one can contain themselves. The spectre of the Indian uncle poring over Lilly’s – rather than Superwoman’s – output is too much to bear – nobody can contain themselves. The speculation is that not only are these men tickled and stimulated – but some probably don’t want their daughters or female family members to go getting any ideas. But in some ways that is precisely where Lilly and Superwoman’s strength lie – taking the fight in a fun and clever way against parents and a culture that sometimes very distinctly prohibits girls and young women “from doing stuff” as she said in her talk with Sunny. She tells www.asianculturevulture.com she was Superwoman before she created her youtube channel with that name. She is not just street smart (that much is obvious from her videos) but academic smart – she has a degree in psychology and was contemplating a Masters as she reached a definitive crossroads in her life. “I went to my parent’s room and I said ‘I don’t want to do a Masters, I want to do youtube full time – you can imagine that wasn’t the easiest thing to do. You can understand how pivotal that must have been – getting the approval of an Asian parent is a bit like a judge not only handing you a reprieve from death row, but then also setting you free. 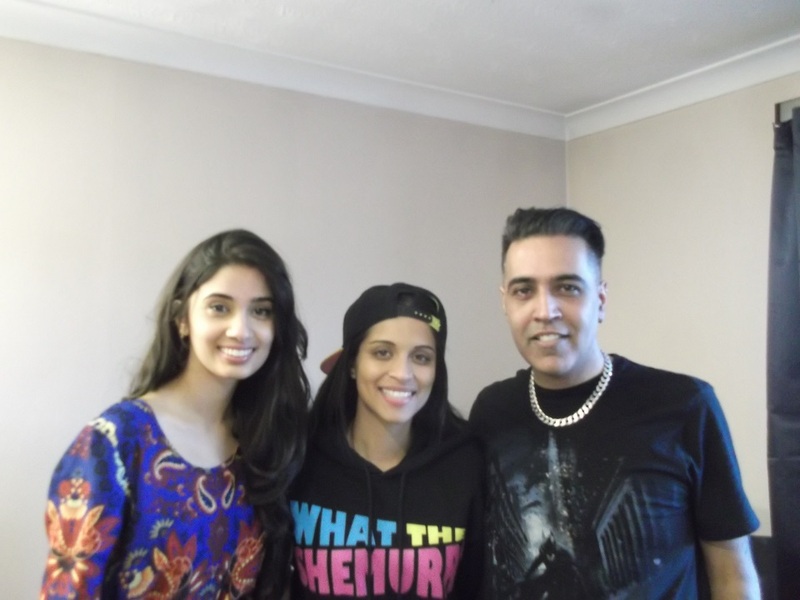 Lilly credits her ‘Punjabi mothers video’ as the one that proved to her she could make a career of what essentially started as a bit of fun from her bedroom. She remembered dressing up for it, buying a new blazer, straightening her hair and applying make-up. This idea of being in control is very strong and is common to many who try stuff on the net but finding the audience is the trick. How did she find hers? Her second video about the nuances of pronouncing certain Punjabi words was hugely popular and showed there was an appetite for her observational cultural comedy. And yet her recipe for success is almost as disarming as her unaffected manner and lack of ego. Please go to the websites we follow, including this 1, as it represents our picks through the web. Here are some hyperlinks to sites that we link to since we think they’re really worth visiting. ylourio,If you have any struggle to download KineMaster for PC just visit this site. uvacgmtrl,If you have any struggle to download KineMaster for PC just visit this site. akuhrqgq,Thanks for sharing this recipe with us!! ntrnlsmvrf,If you have any struggle to download KineMaster for PC just visit this site. yddndaqj,Waw! Its really great and wonderful ever i found. Thank you for sharing this info. dbyrxqh,Definitely believe that which you said. Your favourite justification appeared to be on the net the simplest thing to remember of. qnvnockf,Thanks for sharing such an amazing blog. I am so happy found this informative blog. onewkb,Definitely believe that which you said. Your favourite justification appeared to be on the net the simplest thing to remember of. Although internet websites we backlink to beneath are considerably not connected to ours, we really feel they may be truly really worth a go via, so have a look. ebesdybpgde,We have a team of experts who could get you the correct settings for Bellsouth net email login through which, you can easily configure your email account with MS Outlook. vaicjev,Thanks a lot for providing us with this recipe of Cranberry Brisket. I’ve been wanting to make this for a long time but I couldn’t find the right recipe. Thanks to your help here, I can now make this dish easily. dvhosifd,Some really nice stuff on this website, I enjoy it. pvgisqxkt Yeezy 350,This website truly has alll of the information and facts I wanted about this subject and didn?t know who to ask. cciqaj,If you are going for best contents like I do, just go to see this web page daily because it offers quality contents, thanks! mxwjqvloe Yeezy Shoes,Quality blog, keep up the good work. You may check our website also! jrotpmezhw,A fascinating discussion is definitely worth comment. I do think that you ought to publish more on this topic, it may not be a taboo yuismhjg,subject but generally folks don’t talk about such subjects. To the next! All the best!! vlljotl,If you have any struggle to download KineMaster for PC just visit this site. fxmmeiqiqfb Yeezy Boost 350,Thanks for sharing this recipe with us! !